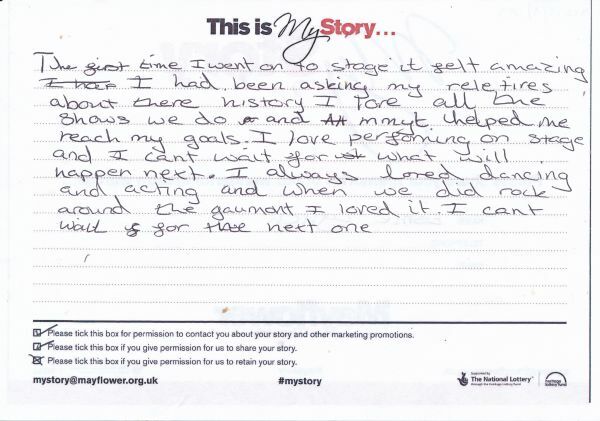 My Story card: Esme Lynch remembers performing with MMYT. The first time I went on to stage it felt amazing. I had been asking my relatives about their history. I love all the shows we do and MMYT helped me reach my goals. I love performing on stage and I can't wait for what will happen next. I always loved dancing and acting and when we did Rock Around the Gaumont I loved it. I can't wait for the next one.